Does My Waterfall Need Repair Or Replacement? Talk To An Acorn Pond Pro NOW! Acorn Has Koi Pond Cleaning, Repair & Maintenance SERVICE AVAILABILITIES IN HENRIETTA, PITTSFORD, GREECE, IRONDEQUOIT, Areas Near You In Western (NY) & BEYOND! 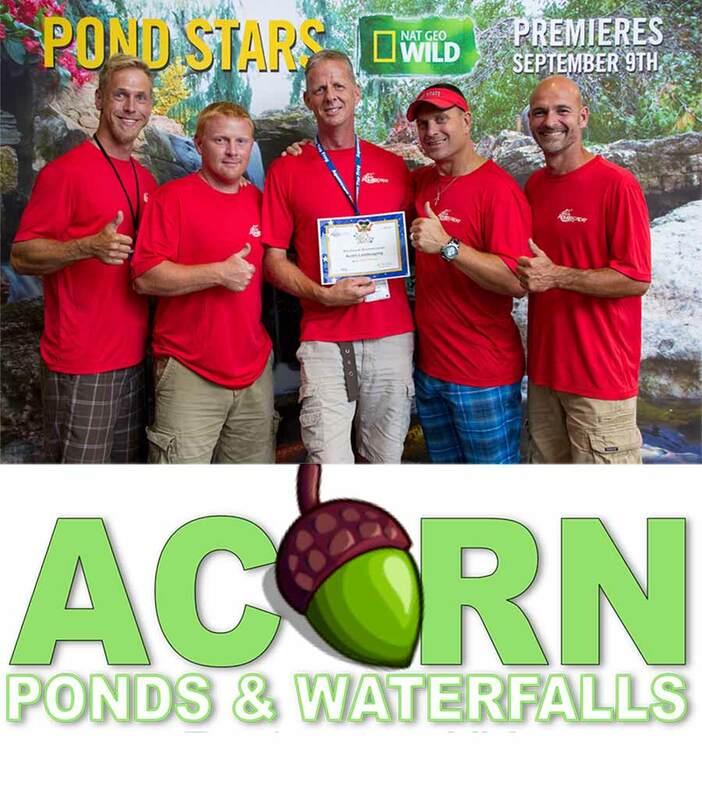 Based in Rochester New York (NY), Acorn Ponds & Waterfalls have the experience and training needed to properly care for your water feature and have been servicing Rochester, Buffalo & Western New York water garden owners with professional pond & water feature cleaning, maintenance & repair for close to two decades. 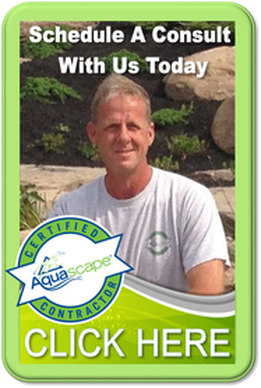 Whether you have algae problems or leaking waterfall issues, stubborn pond leaks, green/smelly water, or simply just have questions on how to take care of your pond maintenance and repairs - we can help. Does your Western New York (NY) fish pond need a full spring pond cleaning this season or does it just need to be tidied up a little? There are a couple of things that you can look for to help you decide. First, if there is a layer of “crud” at the bottom of the pond and the water is dark in color, it would be a good idea to do a full pond drain and clean-out. On the other hand, if there is just a small amount of debris that you can stir up and capture with a net and the water looks clear, a little tidying up is all that’s in order and a spring start-up will suffice. Either way if you live in the Rochester, Buffalo or Western NY surrounding areas contact us to do it right. 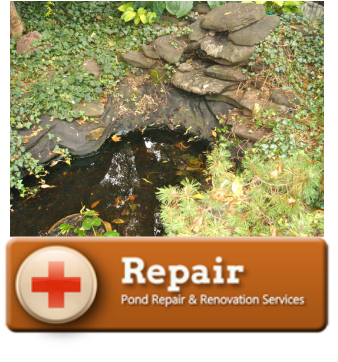 Do you have a leak in your pond waterfall you would like us to repair? Perhaps some loose rocks around the edge of your water garden have fallen in your pond and created holes and is causing your pond to leak? Or maybe the dirt back-filled around low liner edges might have settled with time. 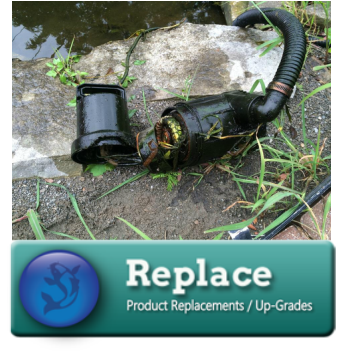 Did you shut down your pond in the fall without removing the pump? Perhaps the plumbing froze during the winter and needs repair? Regardless of the issues that have led to the malfunction of your water feature, the experience and unique training of our team allows us to diagnose and fix your problem quickly and accurately. Have you been thinking about expanding/adding on to your Rochester or Western New York (NY) existing pond or do you happen to have a pond that isn’t quite as large as the pond you envisioned when you first had it installed? Do you perhaps have a pond that either isn’t operational or isn’t up to your standards, because the promises of your contractor didn’t quite come to pass? If so, our pond enlargement and pond renovation/replace services may be just what you need in order to get the most out of your water feature. Schedule a pond service check-up now! 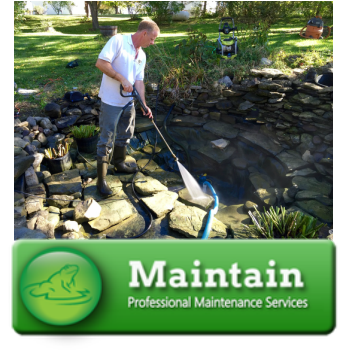 You're only one phone call away from The Best Fish (KOI) Pond & Fountain Cleaning, Maintenance & Repair Services In Western New York (NY) INCLUDING ROCHESTER, BUFFALO & SYRACUSE - CaLL NOW!